As is tradition, we return from the break drunker than we were when we started, which becomes really obvious in Lemon's failed introductions. But we've got more crap to read, and we're going to read it! In the end, the room shares what they've learned before being visited by a special guest who has an especially smelly message of peace. But first: more poetry! 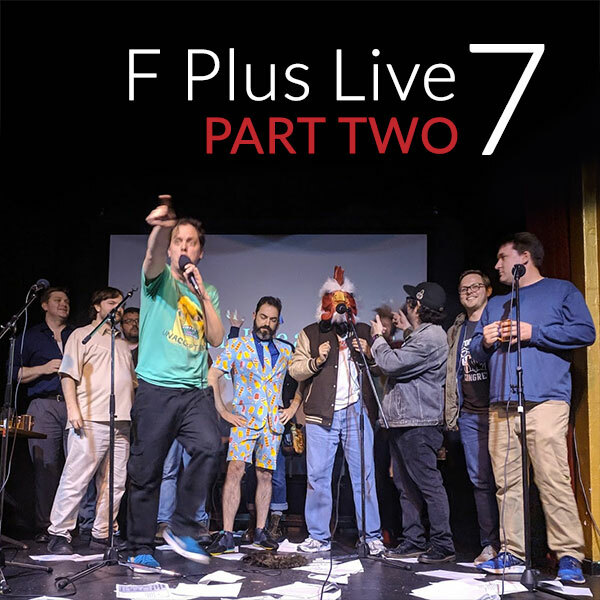 And that's our seventh F Plus Live in the books, time for the karaoke party. Make sure you come next time!